Pig Trail Harley-Davidson, Two Thumbs up! Talk to any and all Harley-Davidson riders, you will find pros and cons of each and every Harley Dealership. 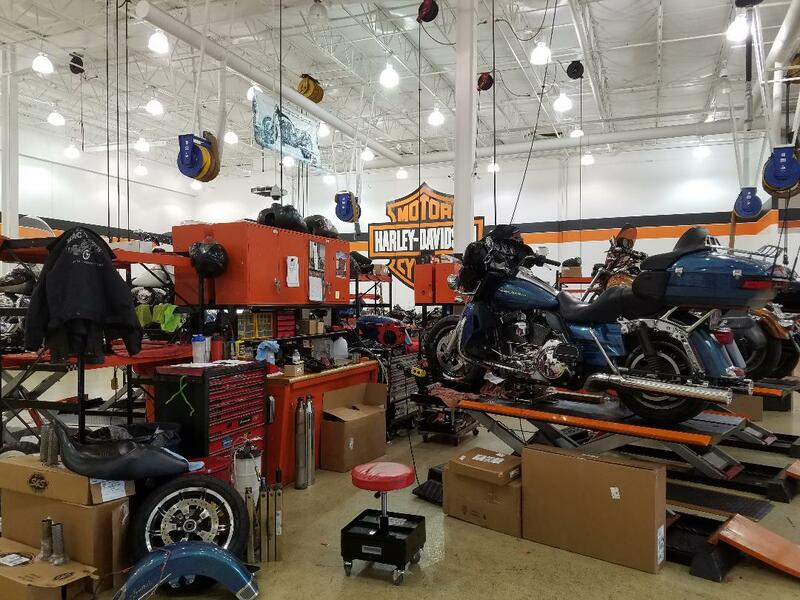 You may love your hometown Harley store, you may have issues with them, you may may have your favorite store you visit, or just like visiting them all on your travels. Whatever the case may be, I have to give a super thumbs up, highest praise, and think every dealership should take a class, notes, or any advice they can get from the Service Department at Pig Trail Harley-Davidson in Rogers, Arkansas. They KNOW how to do IT right. Every year the area has a huge bike rally called Bikes, Blues, and BBQ. It is a 4 day Rally in Fayetteville, Arkansas. 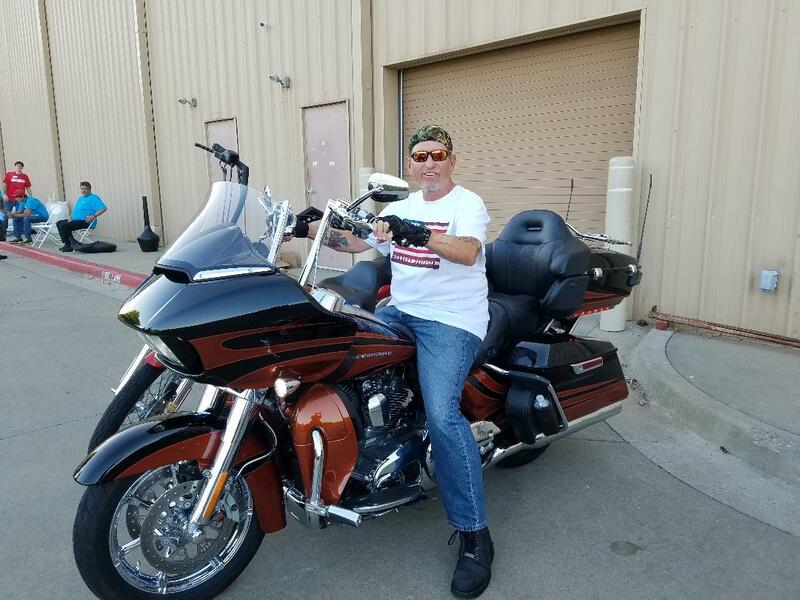 Hundreds of thousands of people arrive to the area to test ride bikes, listen to music, eat BBQ, ride the areas beautiful and scenic winding roads, shop the various vendors and definitely stop and visit Pig Trail Harley-Davidson. Pig Trail Harley-Davidson is ready for this. 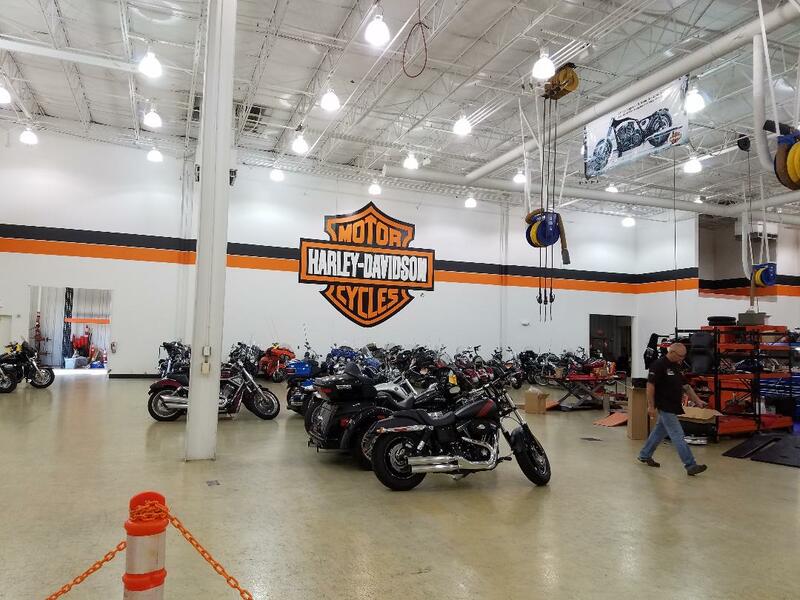 They have extra staff, warranty staff on site, and also have other help from Harley-Davidson corporate. 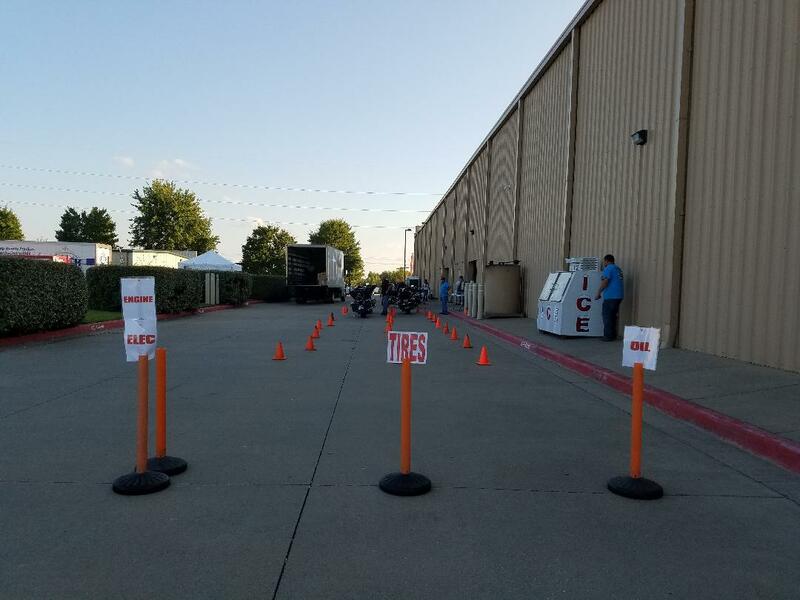 They have lines outside their Service Department set up and ready, when you arrive for different kinds of service help you may need. You never want to break down, but if you must, this is the best place (Pig-Trail H-D) and the best time (Bikes, Blues, and BBQ Rally) to do so. My husband and I were on our way to Baum stadium to test ride some motorcycles and all of a sudden his bike sounded like a bag of wrenches were thrown into the motor, scary. We immediately pulled over and called a tow. They came, (Kudos also goes out to NWA Towing and Recovery). I followed, and on we went to Pig Trail H-D.
We got there and they were ready for us. They took down our information, helped get the bike off the tow truck, said they would diagnose the problem and call in about an hour. Several vendors were set up on all sides of the store and throughout the parking lot, so we had plenty to see while we waited for the news. They called, we went straight to the shop to talk to the mechanic and service manager. We talked to Phil, who was sent from Harley Rapid City, he was amazing. He was a master mechanic. He told us a lifter had gone bad. 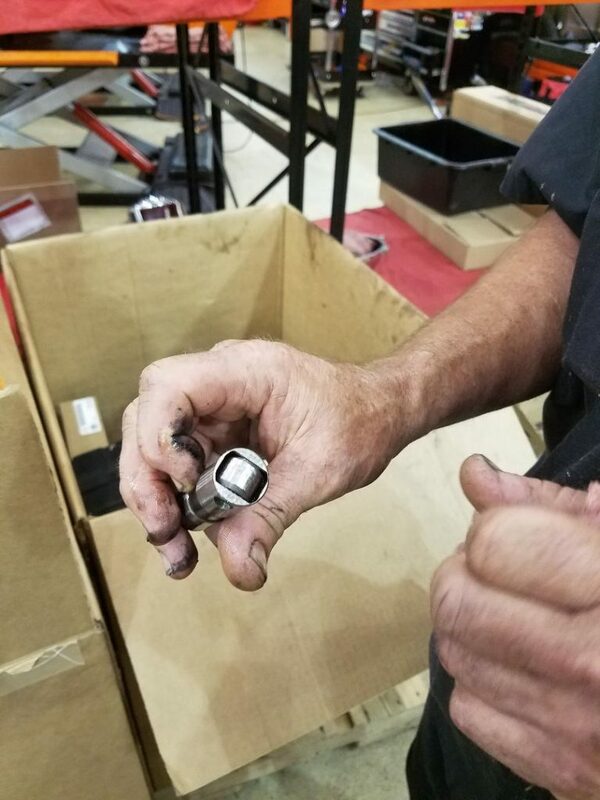 There was metal in the engine so we needed a new one. That’s right, a new ENGINE! We had an extended warranty so it would be covered. The amazing part was they were ready for something like this to happen. Next step we talked to the warranty writer, Bob. He was also very friendly, helpful and informative. He explained everything that we needed and everything they would do for us, which was a lot. 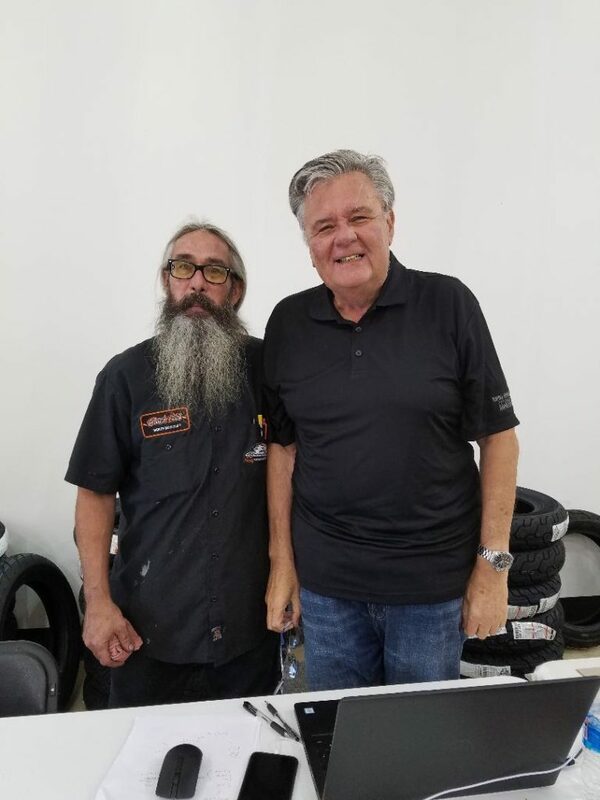 Phil and Bob (Mechanic and Warranty Writer) Made a bad experience bearable. Thank you so much! Great to work with these two! The best part, they had the new motor delivered, repairs made and fixed everything in less than 48 hours. SUPERB customer service from start to finish. I cannot say enough about how wonderful this experience was. 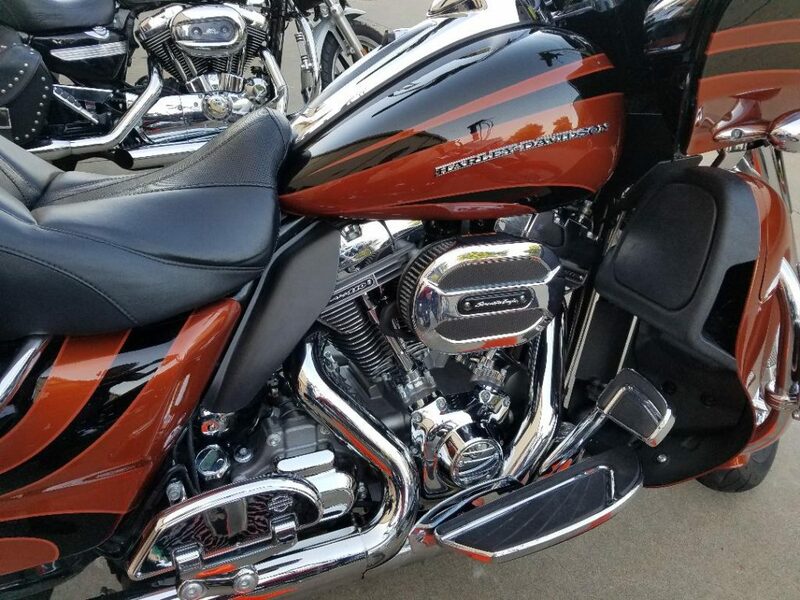 We too have experienced not so great customer service in the past from Harley-Davidson, but this was outstanding, spot on, 10 out of 10 performance and experience from Pig Trail Harley-Davidson. Thank you Phil, Bob, and the whole Service Department of Pig Trail Harley-Davidson. We were back on the road and still had time to enjoy the amazing Arkansas scenic roads, the fun down on Dickson Street, and all the fun that Bikes, Blues, and BBQ has to offer. Such a fun and enjoyable rally.